Fatman Scoop is notorious for shouting his name and requesting that you do whatever he tells you… so put your damn hands up! Whether it’s Scoop’s rambunctious baritone hyping a track or video cameos for P.Diddy, 50 Cent, or Elephant Man, Scoop’s booming voice, catchy hooks, electrifying energy and charismatic presence never go unnoticed. Furthermore, Scoop has created original songs and/or recorded commercials for brands such as Mountain Dew, Reebok, Nike and Bombay Sapphire to name a few, and has collaborated or been featured alongside music artists and tracks produced by award winning producers or artists like Timbaland, BabyFace, Busta Rhymes, Dance Hall Kings Sean Paul and Elephant Man. The rapper was recently tapped by the Super Bowl to provide the soundtrack to their 2019 ad campaign. 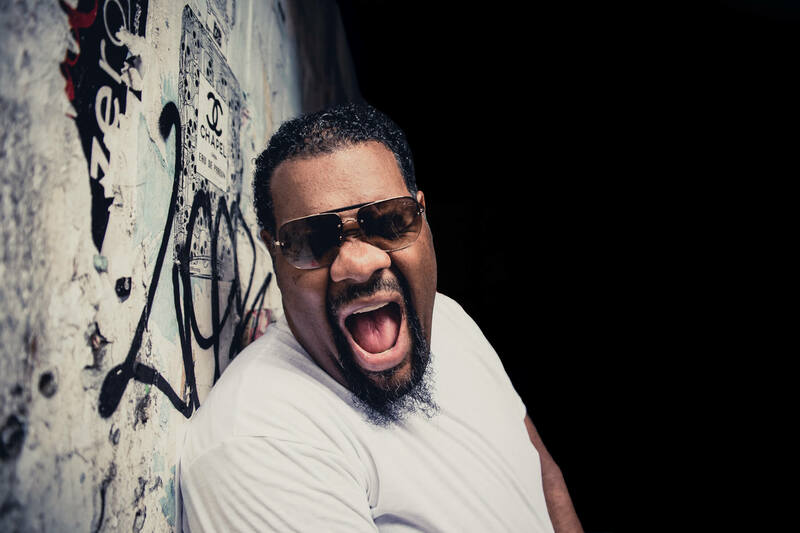 In a category that includes dozens of successful music artists, Fatman Scoop is considered the ultimate party hit maker – just ask the countless number of artists that have recruited Fatman Scoop to make their party tracks.